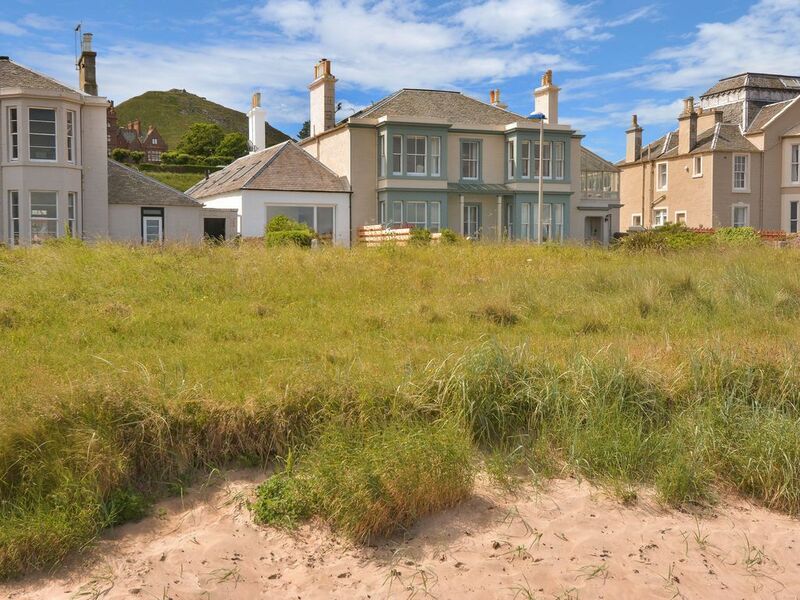 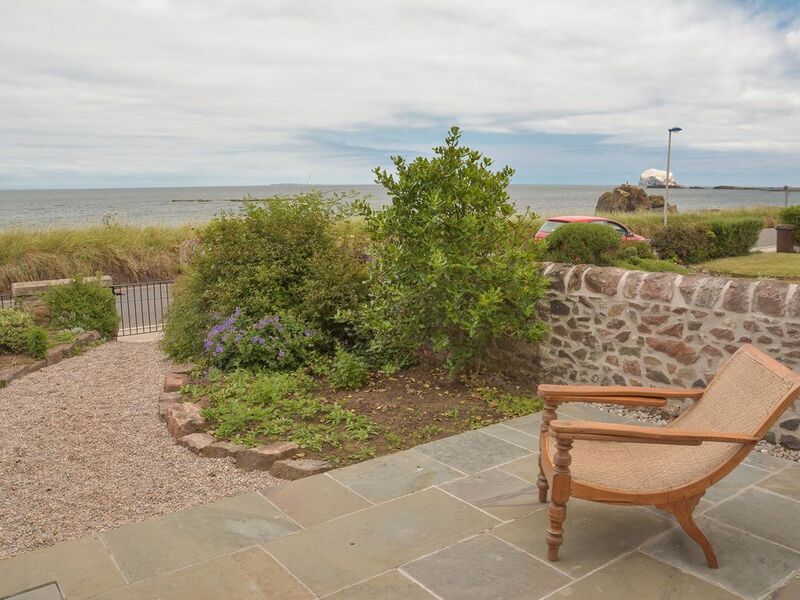 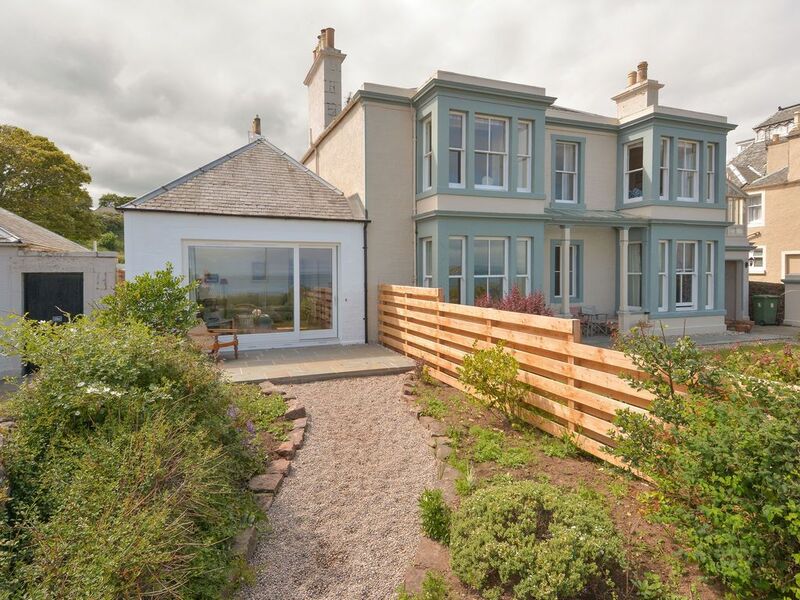 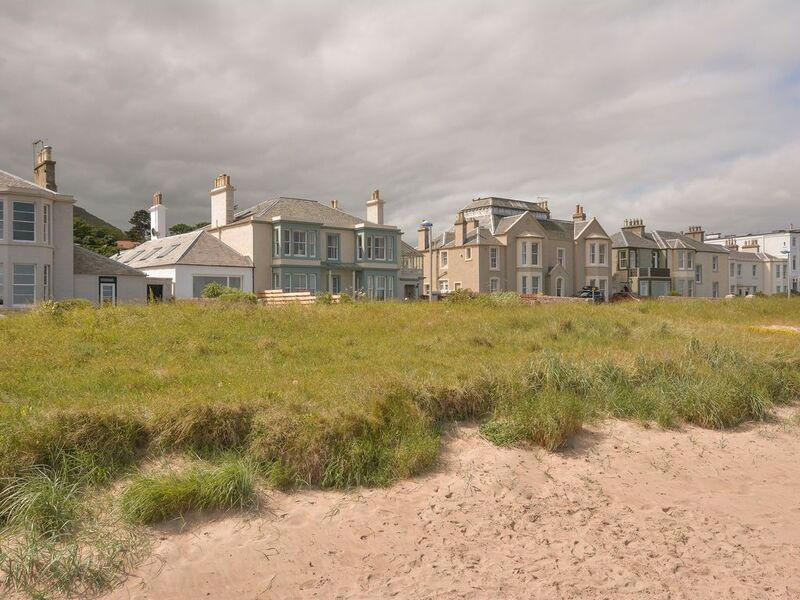 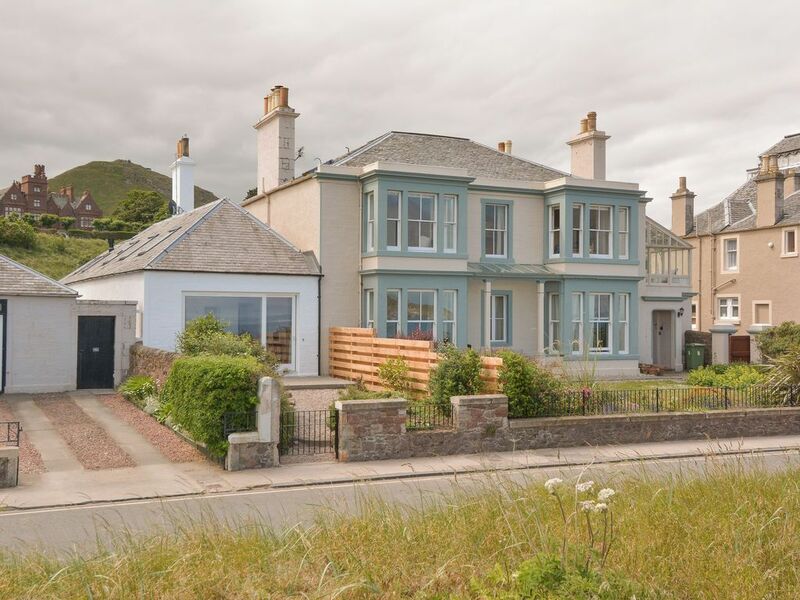 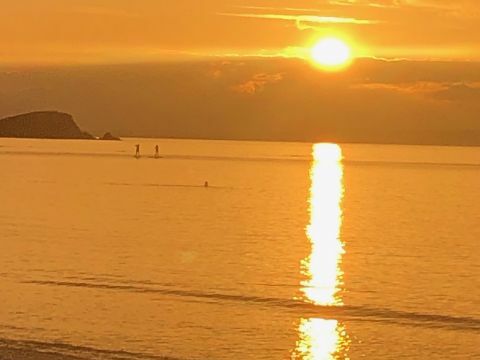 Sandy Bay Cottage is a five star property with amazing sea views from the sitting room - the soft sand of Milsey Bay lies just in front of the property with views across to the Bass Rock. 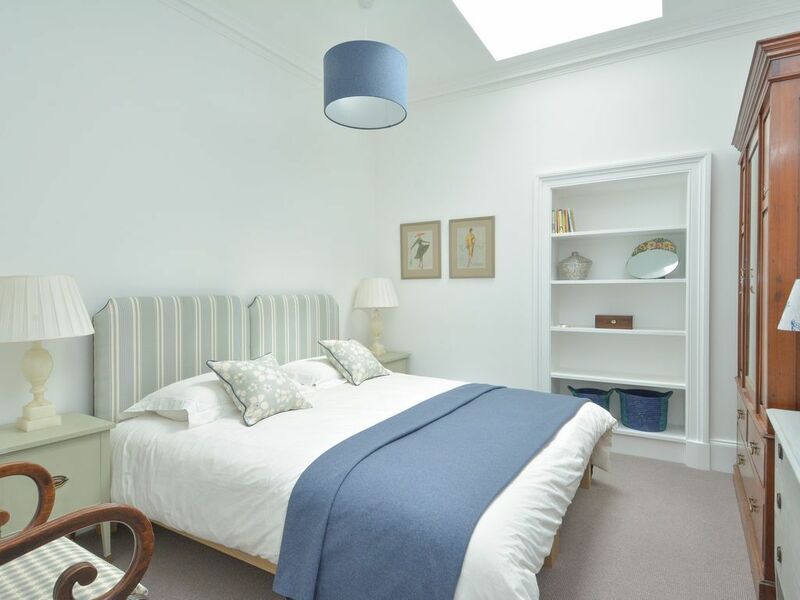 The house has been lovingly renovated and restored with an environmental brief, yet effort has been made to include the comforts of modern living including gas central heating, wet rooms, underfloor heating, wifi, Sky TV, Blue Ray DVD, Sonos sound system and integrated dimmable lighting. 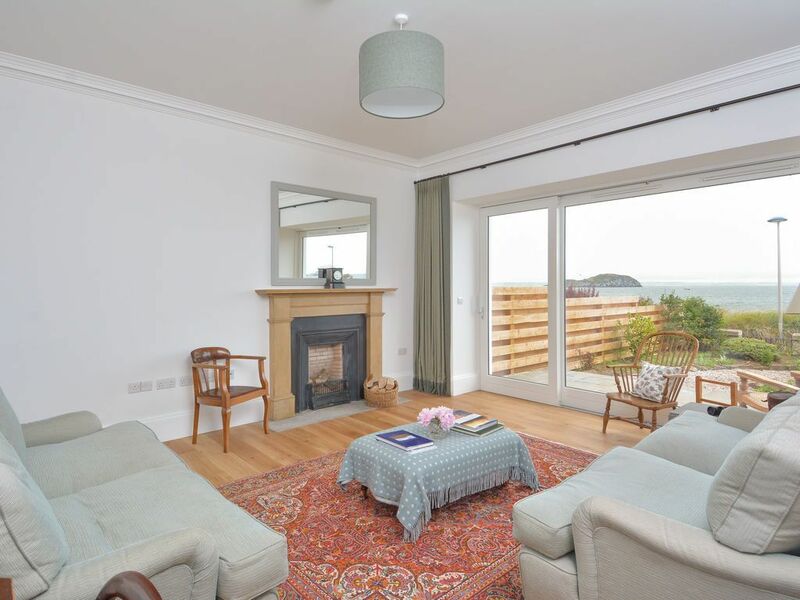 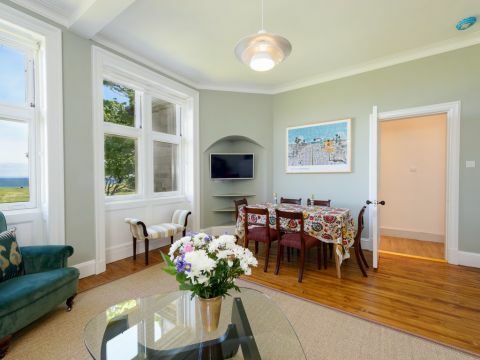 With oak floors and rugs the wonderful sitting room has comfortable sofas and if you can pull yourself away from the view, there is a large TV with Sky package. 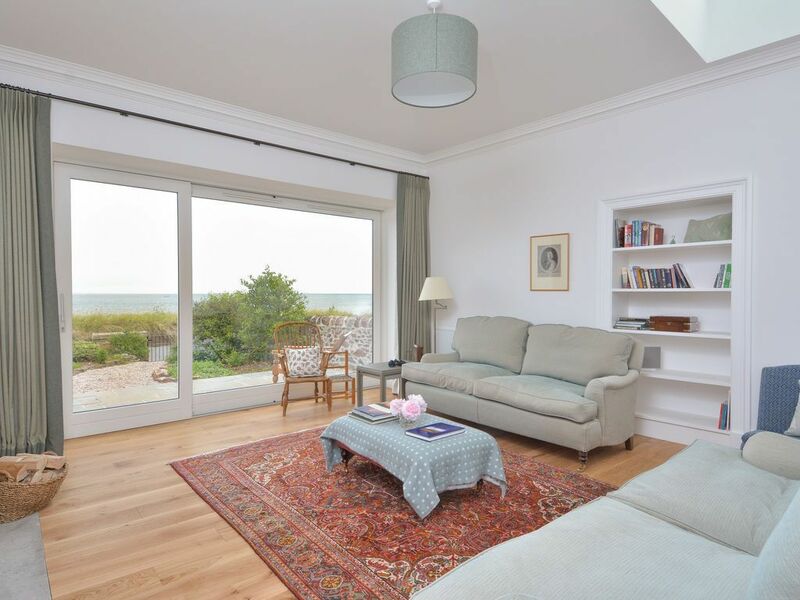 The view is ever changing from the large panoramic window where you'll find yourself gazing endlessly at the stunning seascape. 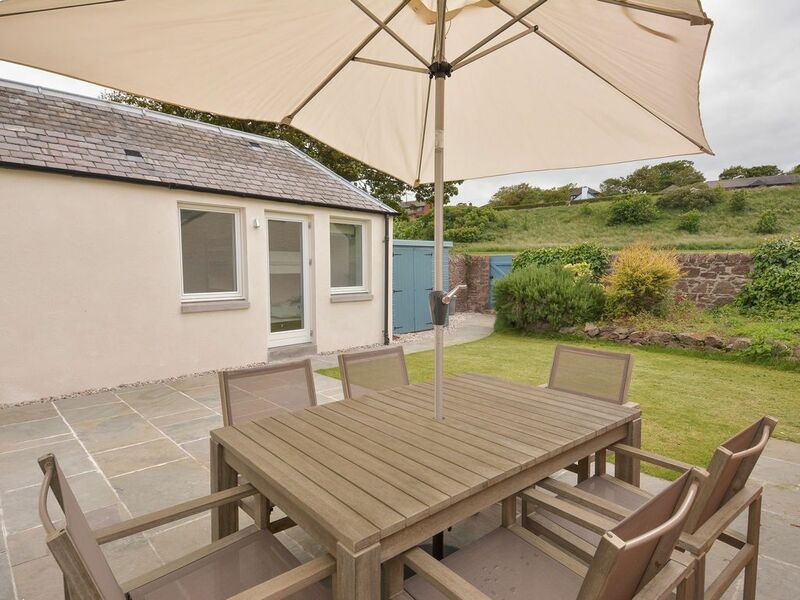 Slide back the door and sit out on the front patio or on cooler evenings light a fire and sit in the warmth to watch the beautiful sunsets. 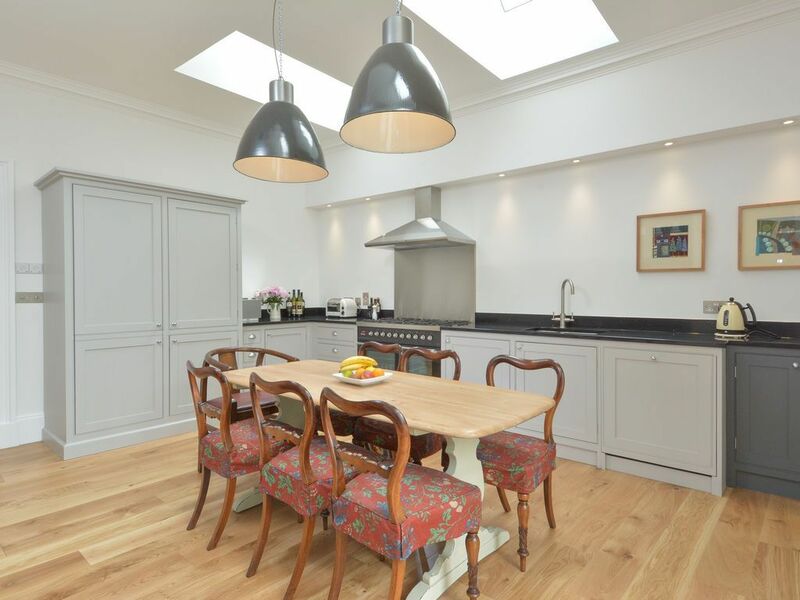 There is a large, bespoke, hand made kitchen/dining room with plenty of fitted cupboards, integrated dishwasher and fridge freezer. 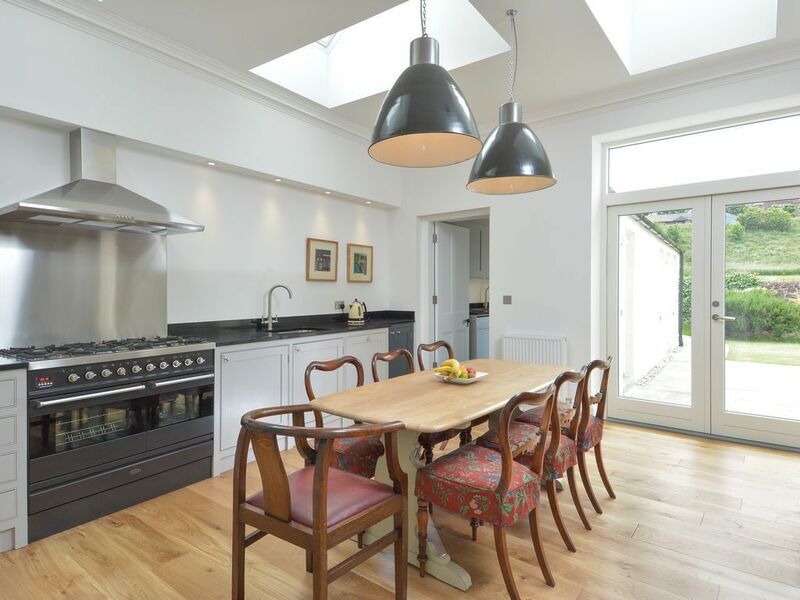 A long table with dimmable lights will suit a lively family meal or an evening dinner get together. 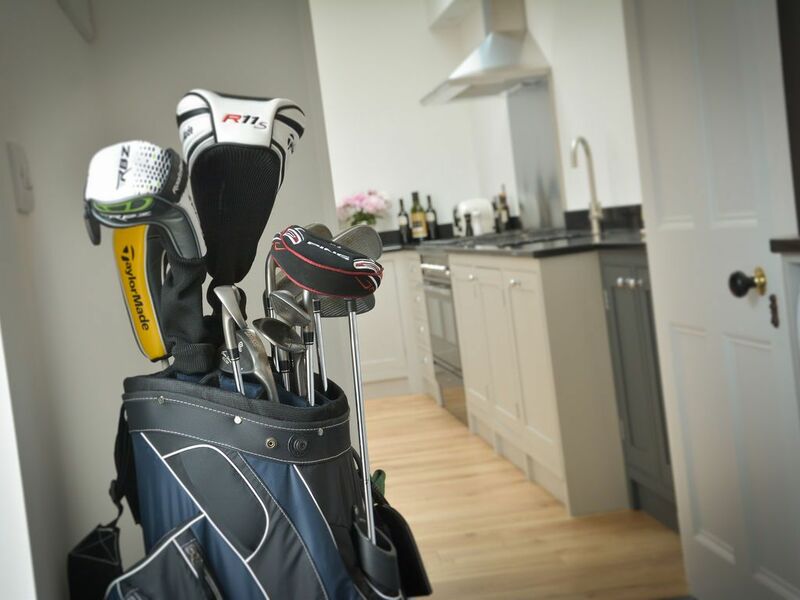 Off the kitchen is the utility room with washer/dryer and storage for golf clubs, coats and buckets and spades! 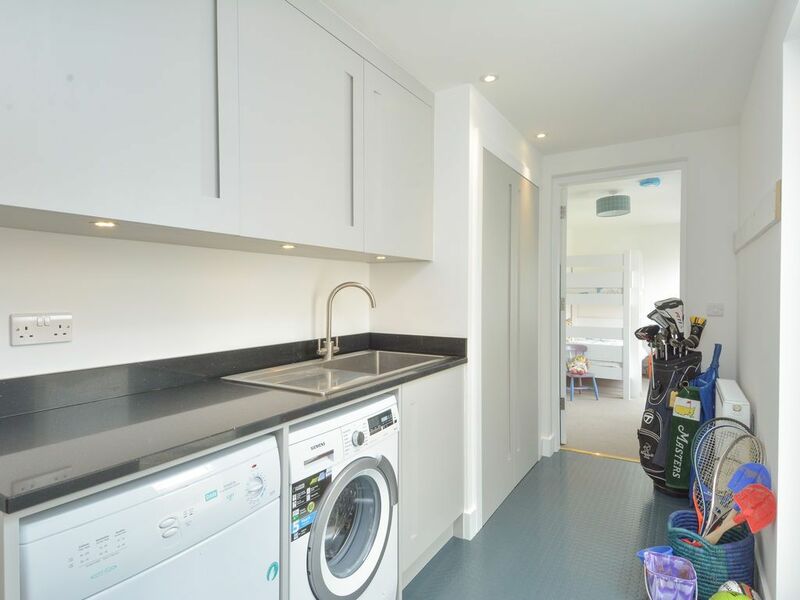 A door from the utility room leads straight out on to the back garden so you can come straight in here and just drop everything down! 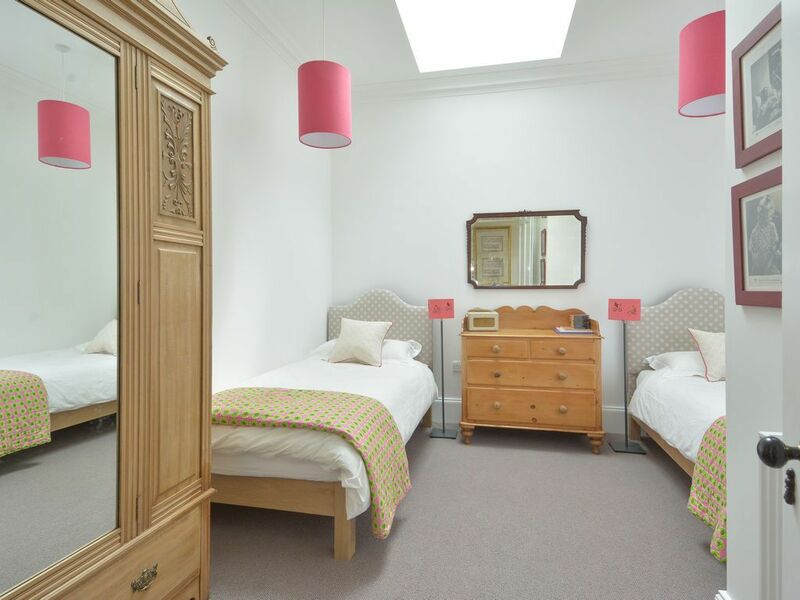 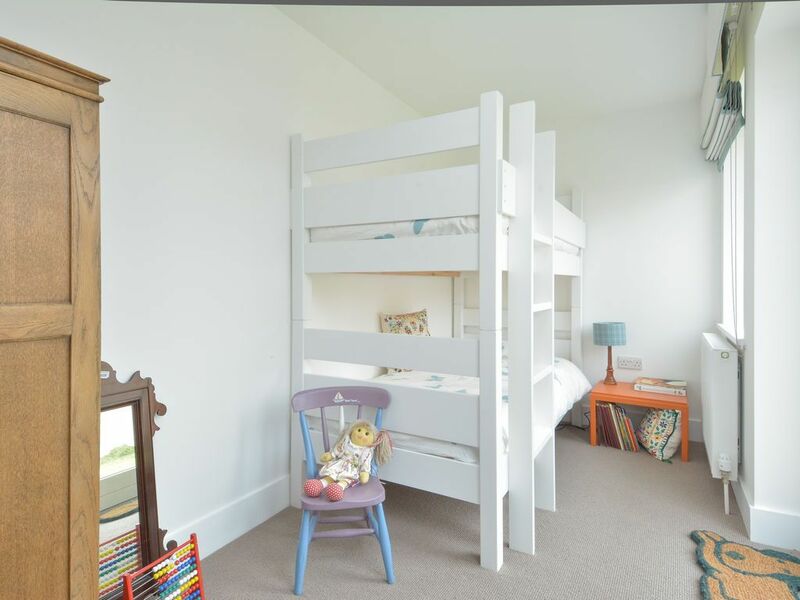 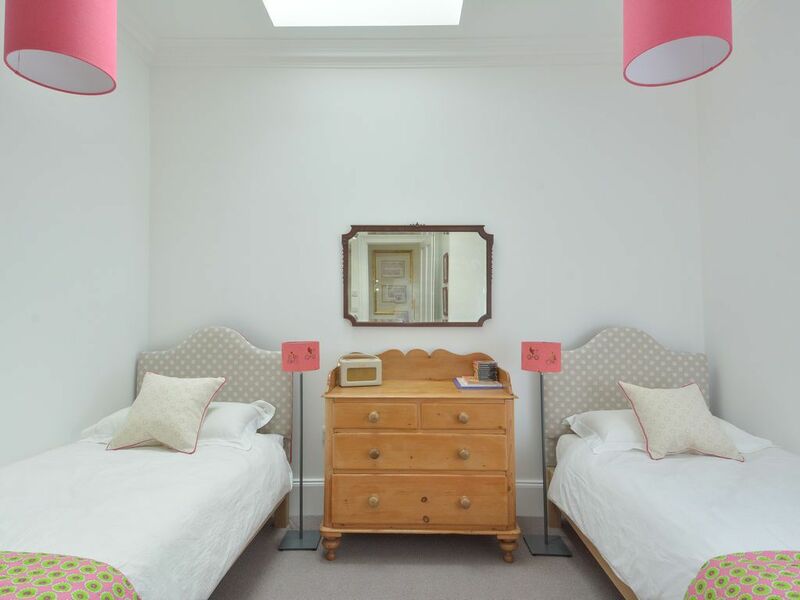 There are four bedrooms, 2 with sumptuous superking sized beds, one twin and a fun room with bunk beds. 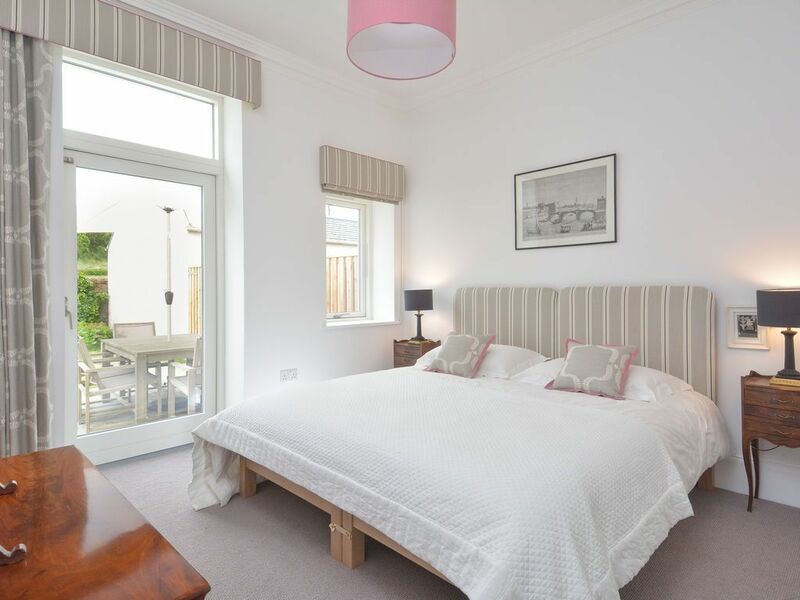 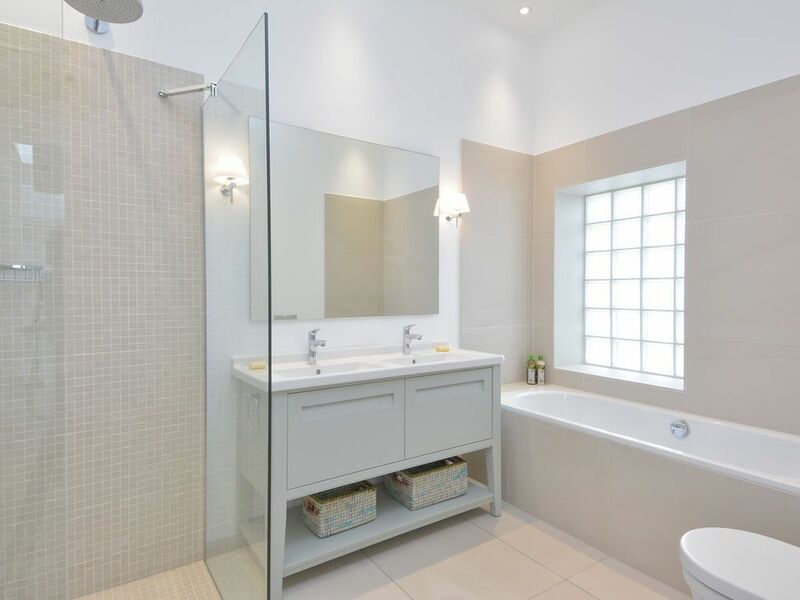 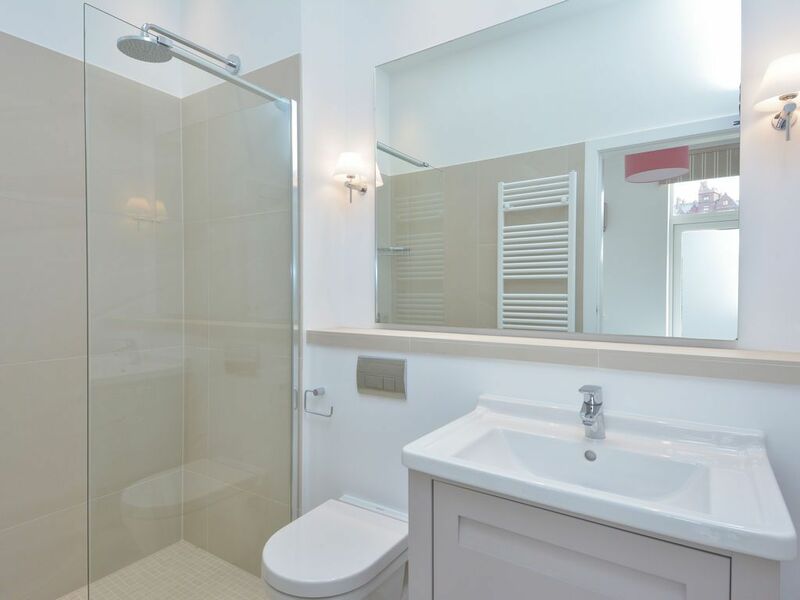 The master bedroom has a wet room ensuite and a door out to the private patio and garden to the rear. 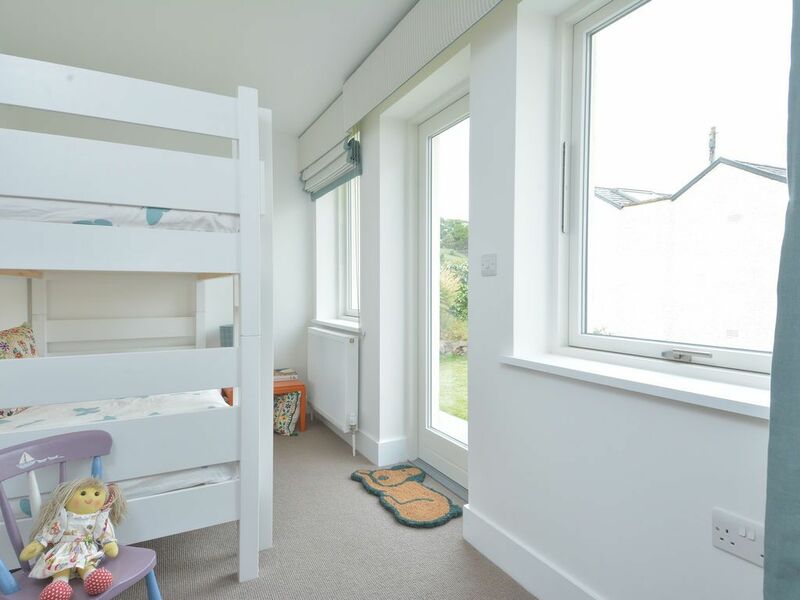 They all have blackout blinds or curtains for a restful night's sleep. 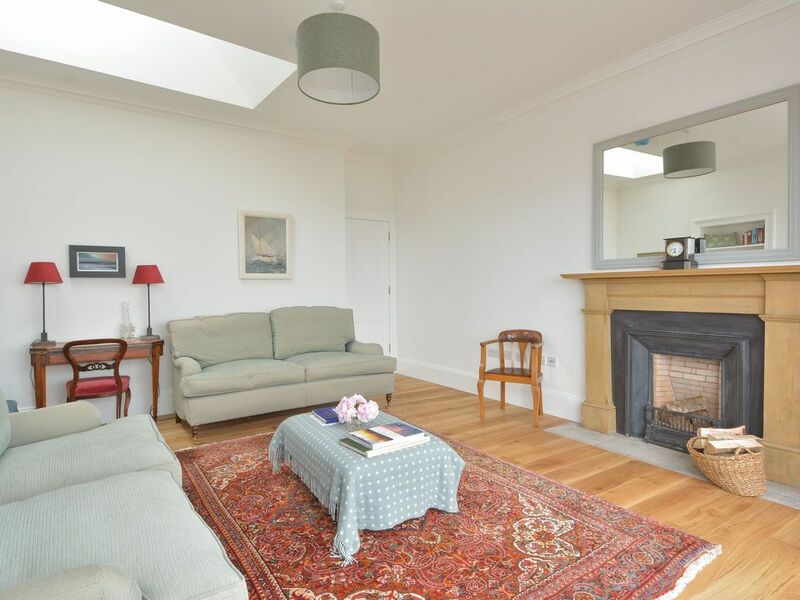 To the back there is a lovely south facing, private garden laid with grass and a patio. 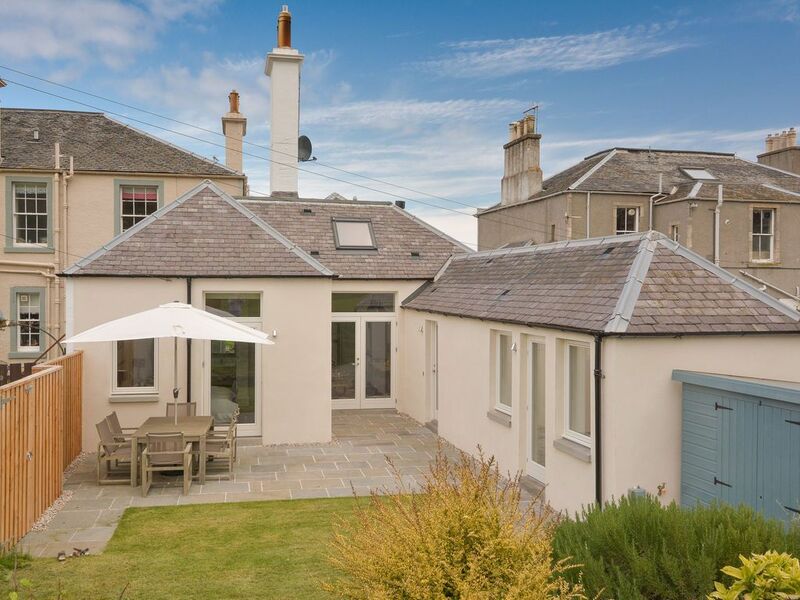 French windows from the kitchen lead out to table, chairs and a BBQ that will let you eat and relax al fresco when the weather allows. 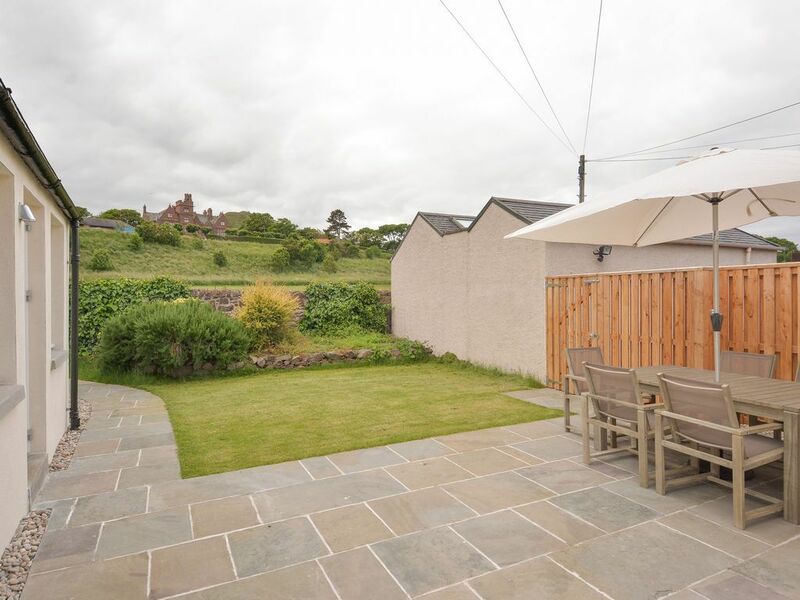 The private gate at the rear of the garden leads you straight out onto the green where there are tennis courts, putting and plenty of space to enjoy outdoor games or learn to ride a bike! 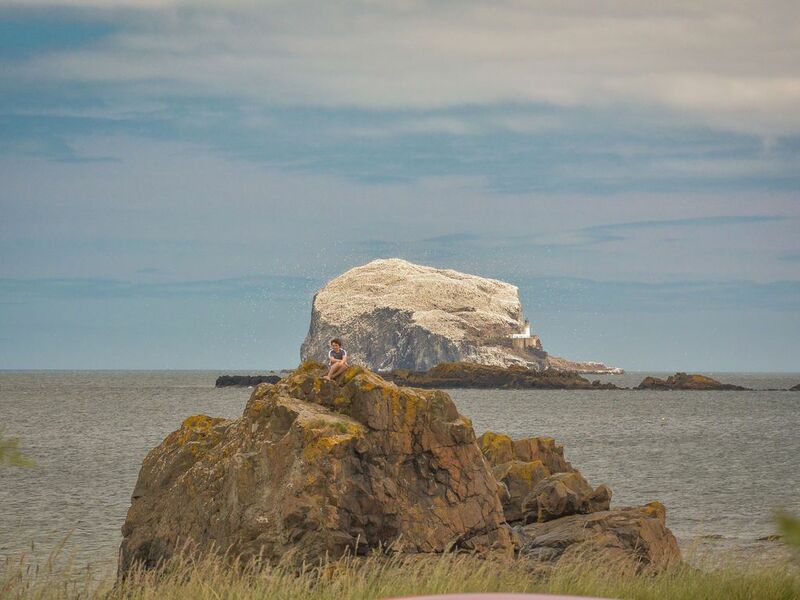 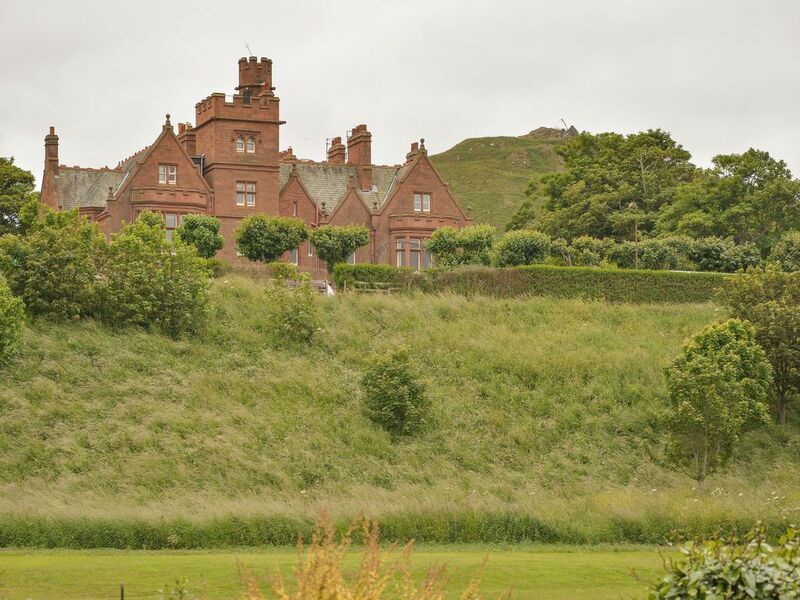 The famous seabird centre is just a short walk along the road as is the Glen Golf Club. 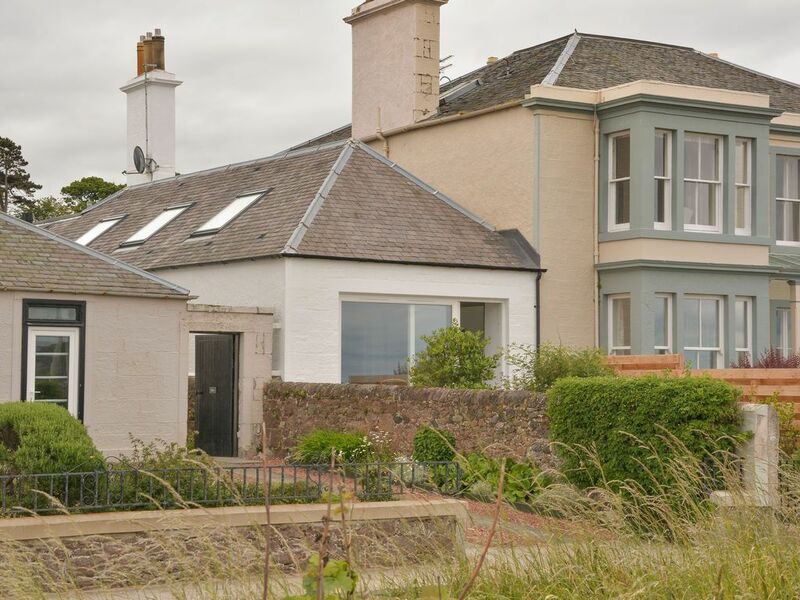 Sandy Bay Cottage offers the luxury of modern living with cottage style charm and we would recommend it for two families or a larger party of friends or golfers who wish to relax in a stunning location with the beach, golf courses, countryside and the attractions of Edinburgh right on their doorstep. 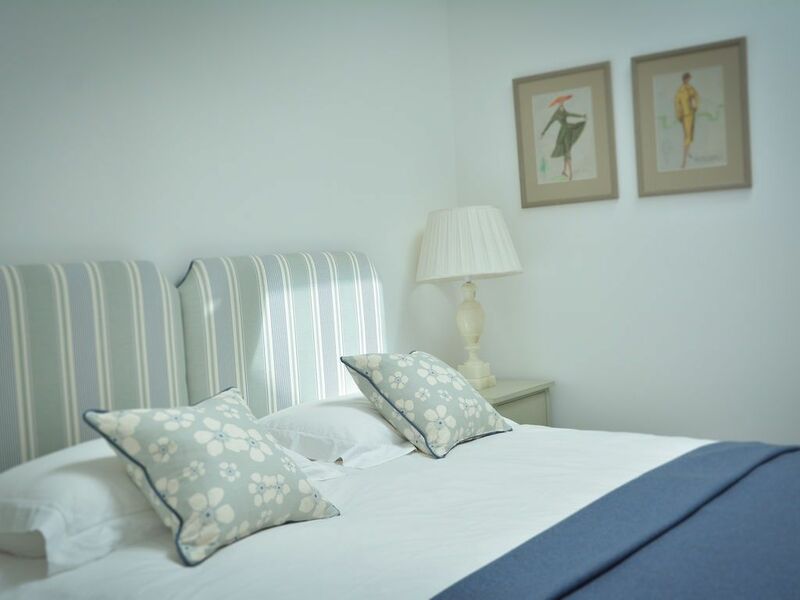 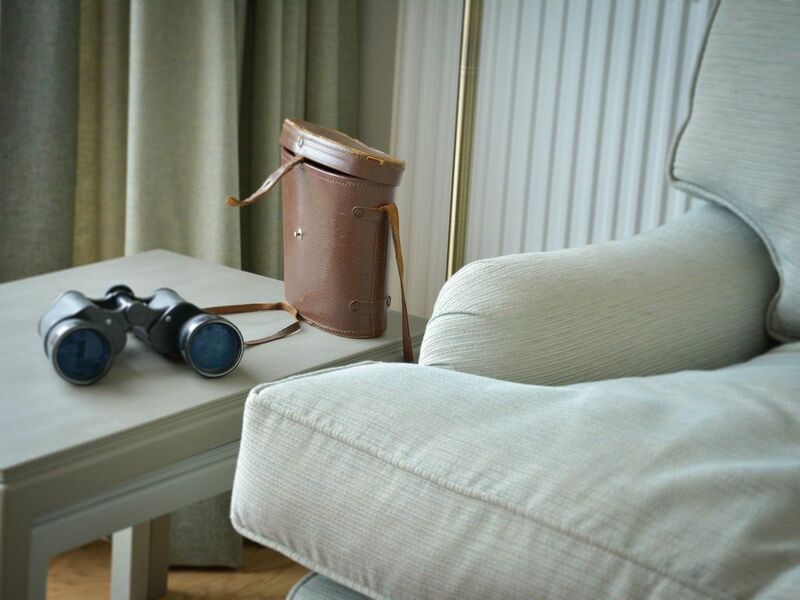 If you require any housekeeping services during your stay or changes of linen/towels please add as a comment when booking online or discuss with the office as we are happy to arrange this at extra charge.